My blog hit 5,000 posts today, and the winners of my RAK are Debby and Melissa!! Please email me at dosdallda@juno.com with your pcLayers username and your email address and I will have $15 of pcpurse transferred to each of your accounts. Thanks for playing and congrats! 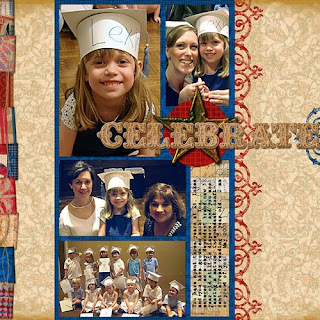 I created this page using the new America the Beautiful kit by Leere Aldrich available at pcLayers.com. 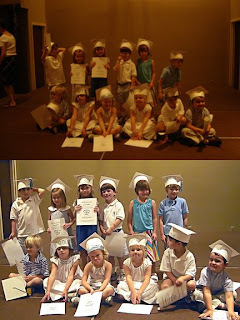 These are photos of my daughter's preschool graduation. They were taken in a room with very little and difficult lighting, so it was hard to get a good shot. I left the flash off and increased the ISO, which helped, but let me show you some photoshop tips that helped even more. Neither of these comparisons are the exact same photo (I forgot to save the originals) but look exactly as dark and shadowy as the edited ones did at first. Let me walk you through some of the things I did to edit these. 1. I always start with an Auto Levels and Auto Color adjustment. (Image>Adjustment>Auto Color/Auto Levels) If those don't quite work, then I'll adjust the levels and the color balance manually. (Image>Adjustments>Levels/Color balance) With these photos, I ended up going manual because everything was so off. Color balance can be very helpful if the white in your photos is way off. Just adjust the sliders for the various colors until you get the skin color looking right. 2. I always do an unsharp mask (Filters>Sharpen>Unsharp) Depending on the photo, I put the sliders anywhere from 40-60, 10-20, and usually 1. 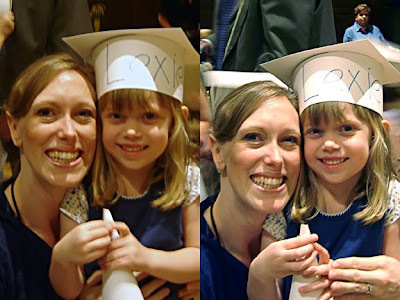 Play around with each photo, because your results will depend on the individual shot. 3. Then to sharpen things up I duplicate the photo by right-clicking on it in the layers pallet and selecting "duplicate". Then I run a high pass filter on the duplicated photo (which should be on top of the original). In photoshop this is found by clicking Filters>Other>High Pass. I start with 3 on the slider, but sometimes a photo will need a little more or less...just depends on the photo. I then adjust the blending mode in the layers pallet to "overlay" and merge the 2 photos together. 4. Lastly, I always run my photos through Noiseware...especially the indoor low-lighting ones with the increased ISO. You can download a free basic version of it by clicking here and scrolling to the bottom of the page. Thanks a ton. I'm loving it!!! Congrats Aly! You are the winner of the class pass draw on my blog! Email me at paulasg@comcast.net with your username at Debbiehodge.com and I will get you set up.